"The deeper you look, the more you will find." 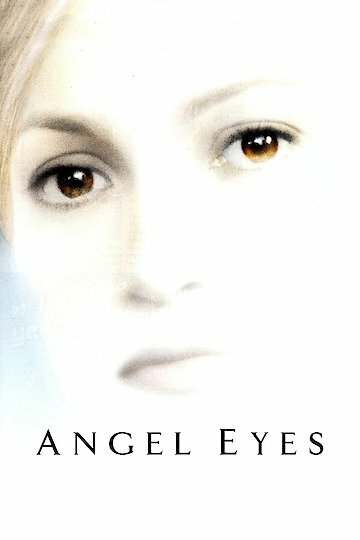 Angel Eyes tells the compelling story about a tough Chicago police officer Sharon Pogue and an odd man, known mainly by the name Catch. The storyline of this film follows these two individuals as they pursue an unusual relationship with one another. The film Angle Eyes makes an effort to reflect on the past lives of each character, which in the end, proves to be extremely important. Sharon Pogue grew up in a violent home. Even though her father never laid one finger on her, the abuse towards her mother was enough to push her over the edge. Not only is she dealing with her childhood struggles, Officer Pogue also tries to keep her now dysfunctional family in line. She attempts to stay close with her mother while she somewhat strives to rekindle the relationship she once had with her father. On the other hand, Catch remains a mystery for majority of the movie. Even though he seems quiet, sincere, and withdrawn, he desperately tries to forget the past life and tragedy that he left behind. An ambush is what reconnects the two strangers who thought they had no knowledge of the others existence. During this ambush, Catch saves the life of Sharon who is gunned down by a fleeing criminal. Catch immediately becomes drawn to the feisty officer, and slowly the couple begins to fall madly in love with each another. Even though the two were spending countless hours together, there were still many secrets from their past waiting to be unveiled. Nothing could prepare the main characters of the struggles they would face ahead of them. Catch finds himself bombarded with questions Sharon asks him about his past. He tries his best to keep things a secret, but Sharon is committed to finding out answers. As secrets begin to surface, they find out a past tragedy had brought them together once before. Angel Eyes is currently available to watch free on Crackle and stream, download, buy on demand at Amazon, FandangoNow, YouTube VOD online.